Evelyn Salt: [being dragged out and tied down] Please let me go home. Please, I'm not who you think I am. I'm really not who you think I am. Please. Please, I'm not a spy. North Korean Torturer: You are a spy! Evelyn Salt: I'm not a spy. Please let me go home. North Korean Torturer: Try again. Evelyn Salt: I am not a spy! I am a business woman. I work for Rink Petroleum and Gas. Please call them. I work for Rink Petroleum! North Korean Torturer: You are here to sabotage our nuclear ambitions. Yes? Evelyn Salt: [gasoline funnel being forced into her mouth] I am not a spy! I am not a spy! Q: Is "Salt" based on a book? Q: What is the FSB? Q: What happened to Salt's husband? This is a fast paced, interesting movie that has many twists and turns, most of them that you won't see coming. Angelina Jolie has never looked more confident and beautiful, and some of the ideas in the script are almost brilliant. I say almost, because the more you think about this movie after-wards, the more highly improbable, and less intelligent, this movie seems. 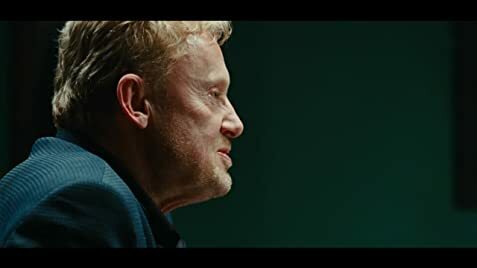 And, it only seems to get worse as the movie goes on, requiring the characters to do more improbable things as the movie moves towards the end. 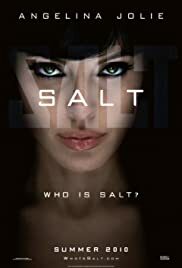 I'd say that any of the Tom Clancy films, or even the Mission Impossible films, give you a better experience than Salt. 57 of 94 people found this review helpful. Was this review helpful to you?